The rusty patched bumble bee has been given the dubious honor of being the first bee to make the endangered species list. The bee, which was once a prominent feature of the Midwest, has lost 90 percent of its population, giving many cause for concern. 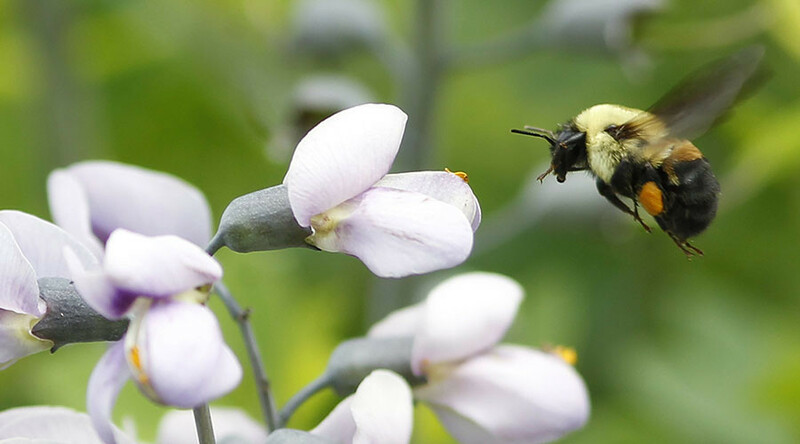 The rusty patched bumble bee on Tuesday became the first bee in the continental US to be placed on the endangered species list by the Department of the Interior. The bee’s status was the result of a bureaucratic tug-of-war between the transfer of power from Barack Obama to President Trump. The bee was initially proposed for the list in September 2016 after it was determined that in the past 20 years, the rusty patched bumble bee’s population has decreased over 90 percent due to disease, pesticide, climate change and habitat loss, Reuters reported. Despite the dramatic decline in population, friction between the outgoing and incoming governments resulted in a month-long delay to add the bee to the endangered species list. The Trump administration’s need for their own review resulted in a lawsuit from the Natural Resources Defense Council that challenged the delay, according to the Washington Post. However, the decision to put the bees on the list does not mean the Department of Land Management or Fish and Wildlife Services is not considering economics in their move. Bees are important to agriculture are they are responsible for pollinating about a third of crops in the US, which gives bumble bees an annual economic value of $3.5 billion, according to Reuters.